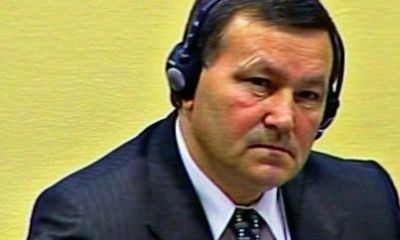 On 31 August Croatian General Mladen Markac’s defence has filed its full reply to the ICTY Prosecution’s Brief that Generals Ante Gotovina and Mladen Markac, in case the Appeal Chamber found no case for joint criminal enterprise (JCE) and therefore no case for deportation of Serbs from Croatia associated with Operation Storm (August 1995), should be found guilty of alternate modes of liability, i.e. aiding and abetting joint criminal enterprise on grounds of command responsibility. General Mladen Markac’s defence says, in its reply to the prosecution’s brief, that he cannot be convicted of alternative modes of liability during the appeal process because the original conviction (April 2011) gives no bases for that. “That’s the same as claiming that the house will remain whole after you remove all its bearing walls,” Markac’s defence said as it sought from the ICTY to reject the prosecutions claims as unfounded. “That the Appeals Chamber is even contemplating convicting Markač on alternative bases of liability, at this very late stage of the proceedings and without any prosecution appeal, raises grave jurisdictional1 and due process objections. Those objections aside, there are insufficient “remaining findings” to support such a conviction in any event. Accordingly, the Prosecution’s submissions in its Prosecution Supplemental Brief on Alternative Modes of Liability for Mladen Markač should be rejected in their entirety”. “If Markac is right in his appeal arguments, and he was wrongly convicted on the basis of JCE, then decency demands that he should be acquitted and released as soon as possible. This is especially so given that the Prosecution has not appealed the Chamber’s failure to make findings on superior responsibility and aiding and abetting as an error of law. To allow Markač to oscillate between hope and despair, with the case against him changing even at the oral hearing, and now even post-hearing, creates intolerable mental and physical anguish. Markac’s defence Reply demonstrates the full absurdity of the eventuality where Markac could be found guilty along the lines of command responsibility or as aider and abettor of JCE, that is that he could be found guilty of something that is not even a subject to Appeal. They further say that in that case, General Ivan Cermak (acquitted in April 2011 by ICTY in proceedings against Gotovina, Markac and Cermak for JCE etc.) could also be found guilty on basis of command responsibility even though he was found not guilty and was acquitted within same Trial Chamber proceedings. Fabulous! Nominate General Gotovina for Nobel Peace Prize! Have to repeat this is a politically motivated and driven court. 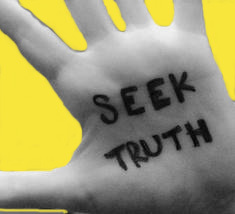 It is not about truth or justice, it is about equalizing guilt to appease the Serbs and to clear the conscious of the West for their inaction and betrayal of democratic values. I am not optimistic because for the Appeal Court to overturn or even throw out this case which it should do just based on evidence alone it would risk tarnishing and bringing into disrepute the entire ICTY and expose for all to see its Macavellian politics. This won’t happen because judges, lawyers, administrators and politicians careers, reputations and livelihoods are on the line; in fact it brings into question the legitimacy of international criminal courts and there are just too many people who are in love with the idea of internationalization of criminal justice that supersedes sovereign justice systems. I fear that in addition to being heroes our generals will be martyrs sacrificed by Croatia to join the EU. I pray this doesn’t happen. Croatia sacrificed too much for us to let this happen. Shame on the EU, shame on the UN and shame on the judges at the ICTY. I hope you are wrong Sunman and that the judges open their eyes wide. Freeing the Generals will allow the ICTY to regain partial credibility and it will take years for it to even be deemed a legitimate court to many people. The ICTY may have gained political clout and favors from those in the USA and the EU but the damage done to it’s legitimacy is on par with the United Nations which is deemed by many to be useless.One of the reasons I demand we have a Croatia First Policy is that no Croat should be brought before any court other then our own under any circumstances. Our history as Croats has shown that we have been a persecuted people and abused by all countries for their own benefit political and otherwise. All one has to do is look and see what the political abuses we are currently dealing with to be a part of the EU. I guarantee you that if we do not adopt a Croatia First Policy our country will be a very changed country in the years to come and we will loose our identity and culture and never be able to gain financial prosperity for our peoples. All one has to do is look at the pressures being put on Croatia to take money from the EU and IMF so that we can be enslaved and dictated to. It is a matter of time before this happens. our country can not absorb the influx of so called refugees that will be dumped on our door step by the EU and other foreign powers for financial gains. If one looks even further at the financial investments into our country you will see that it does not mention jobs for Croatians! All of these investments come with an influx of foreign workers so who is actually benefiting? Again I say that anyone investing in Croatia and it’s natural resources have a minimum of 75% Croats working in any project.Look at how many people are entering Croatia under work permits while our people have no jobs!If we are to loose our generals to this shameless court then I hope we at least have politicians that have the balls to stand up and say no more! How much do we have to sacrifice as a people? Our blood was more then enough in fact it was too much……..Za Dom spermni! Michael, I agree – Croatia First; we should adopt policies similar to China on foreign investment and the US on participation in international courts; it’s about Croatia’s self interest especially in the long run. I want to be optimistic, but the ICTY isn’t about legitimacy from the people (most of whom could care less or just can’t understand the concepts and complexity of the court); it has all the legitimacy it wants through the Security Council of the UN – regardless of what people think of the UN it is a reality and a force to be reckoned with. By not convicting G&M the ICTY risks not fulfilling its political motives of equalizing guilt and absolving the West from its complicity in the war and it’s tacit support for Serbia. Understand that careers and livelihoods are on the line with this court…so you can see how quickly things can move from high level concepts of justice to everyday practicality. I hope there is courage and resolve at the ICTY to ensure justice based on evidence and rigorous Jurisprudence. As always, “Za Dom Spermni!” BTW, Croatia faces an even bigger problem through demographics. 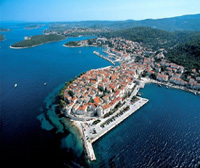 Which if not addressed soon Croatia(ns) will become a “museum” and not a living culture. Croatia needs a minimum of 10million+ Croats and growing to sustain and defend itself; and to create a vibrant and growing economy that can be more self reliant. I agree that we need to have a return to our country to help support it. There are many who want to return but to get our country to recognize who is Croat and who is not based on ancestry is a very hard thing to do. it seems that if you do not have documents to support that you are of Croatian ethnicity they could care less. so many documents are missing from our country that proving you are of Croat ethnicity is almost impossible. I been searching for 5 years for papers on my grandparents and only found documents of marriage. This alone is not good enough because it does not mention the ethnicity. If we as a country came up with an easier process i am sure that the millions of Croats around the world that were born outside of Croatia would apply to be citizens and not only participate in our future but also invest in our country. sadly we do not have our house in order to be able to make this a reality. We need to make a concerted effort to do this in order to save our culture and identity.